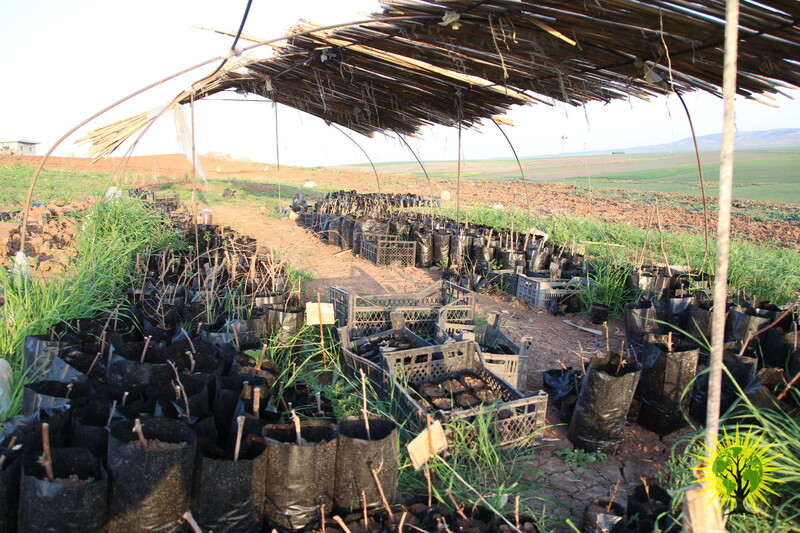 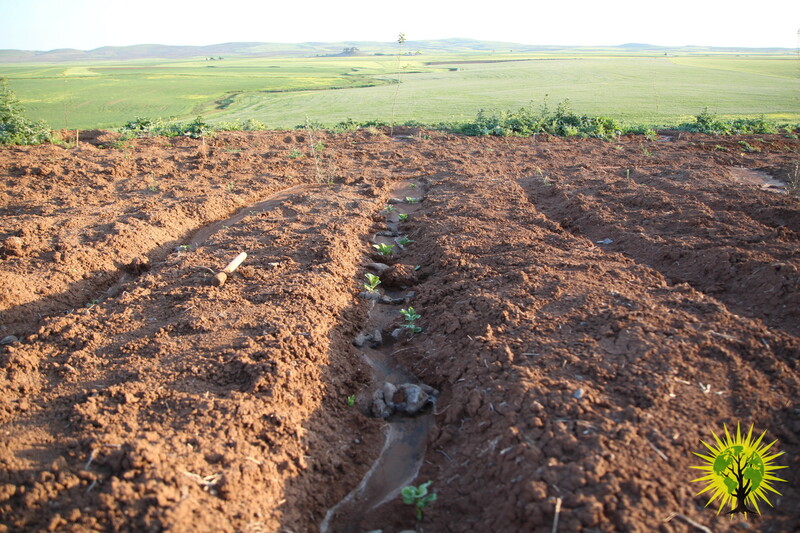 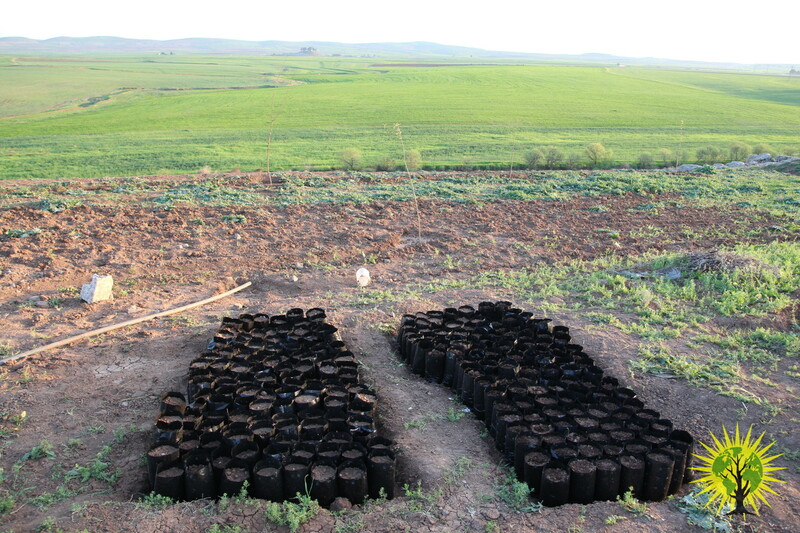 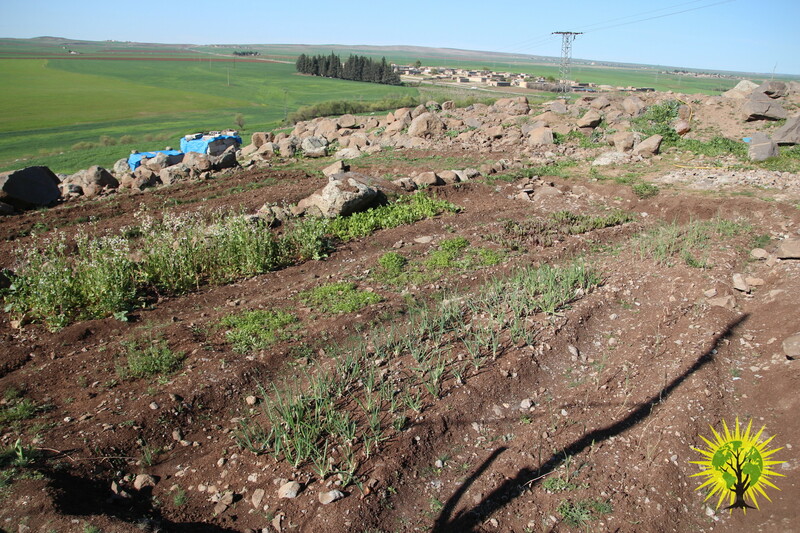 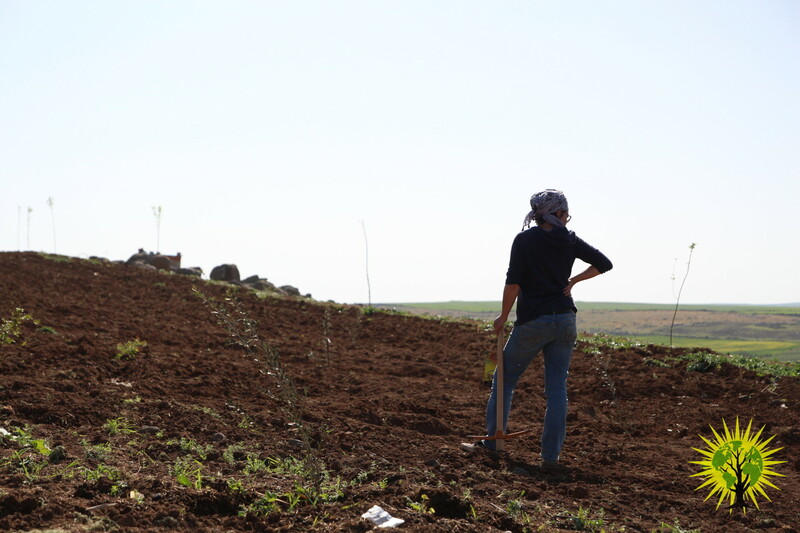 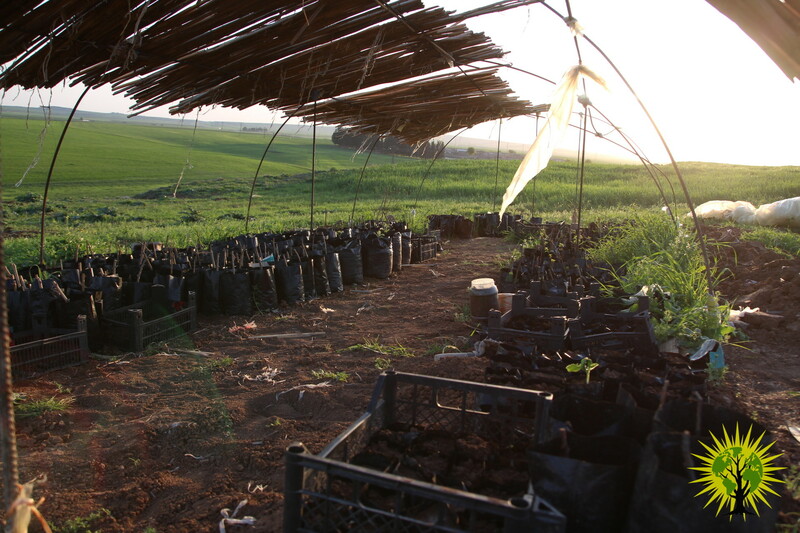 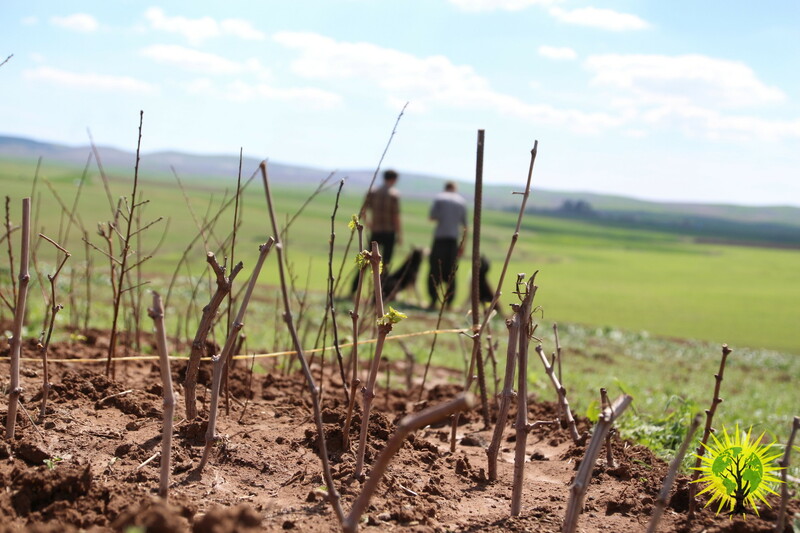 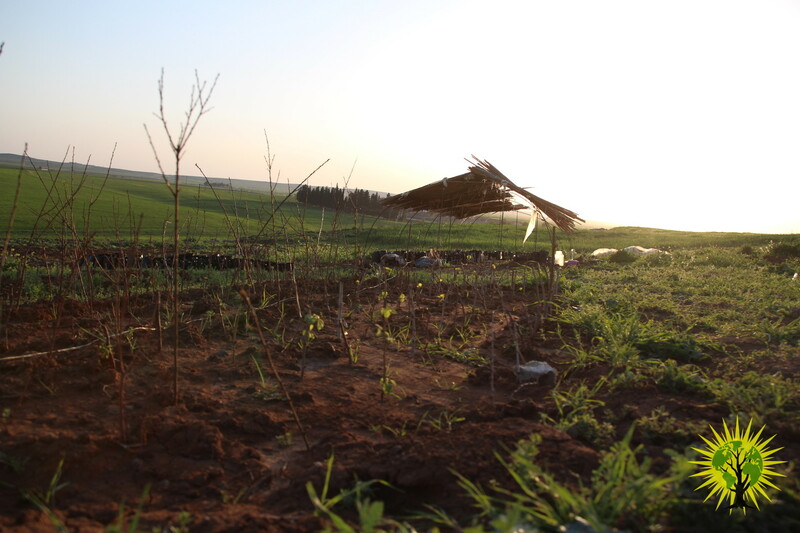 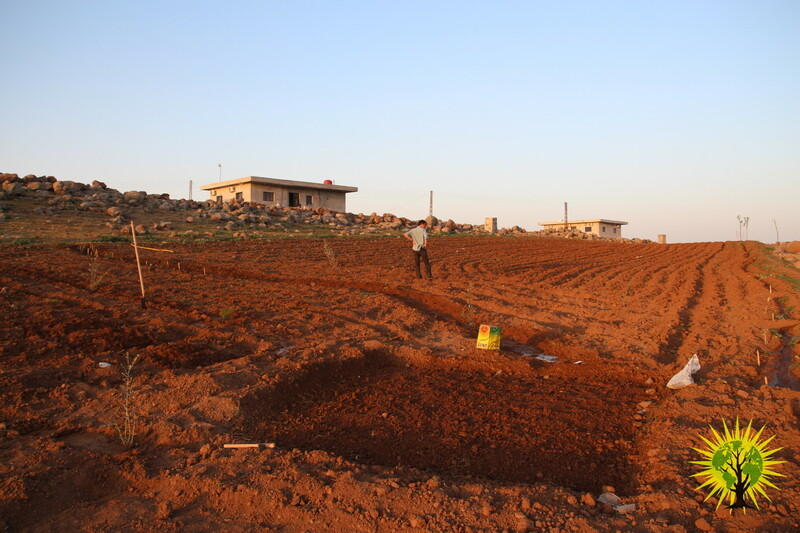 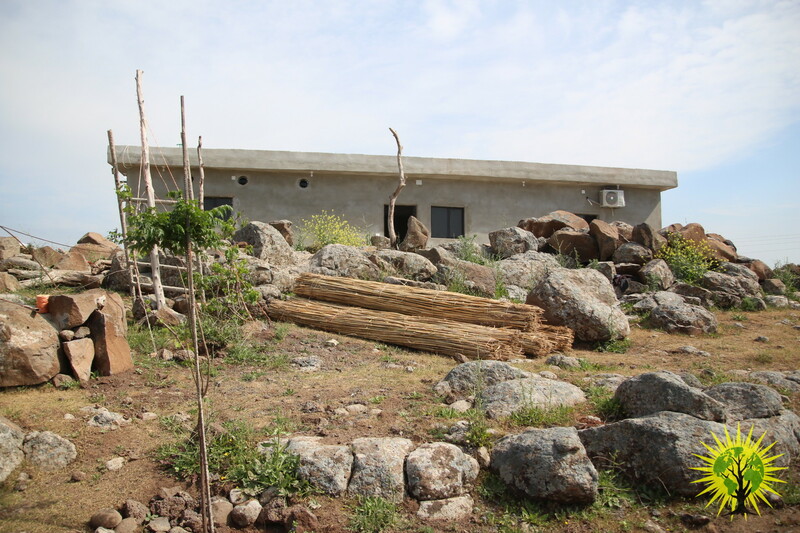 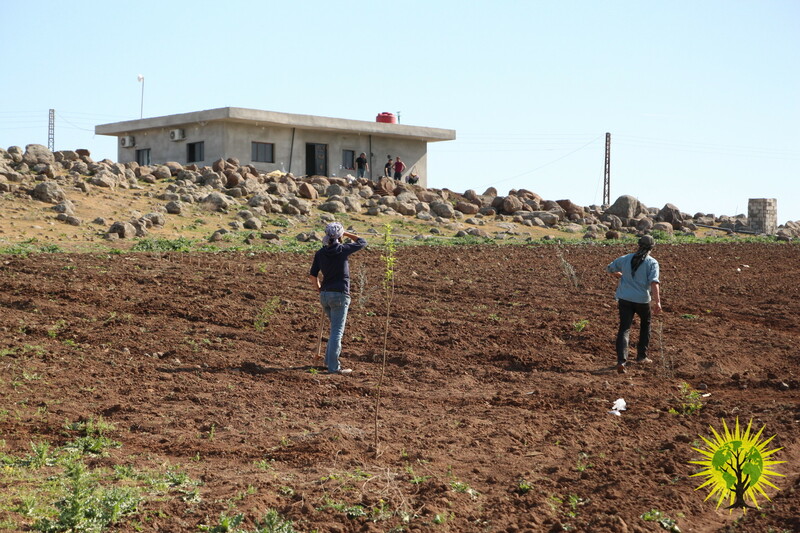 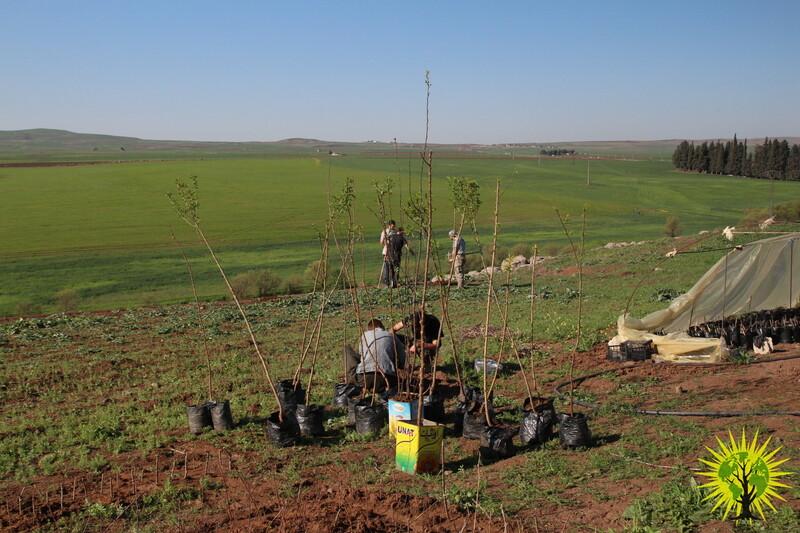 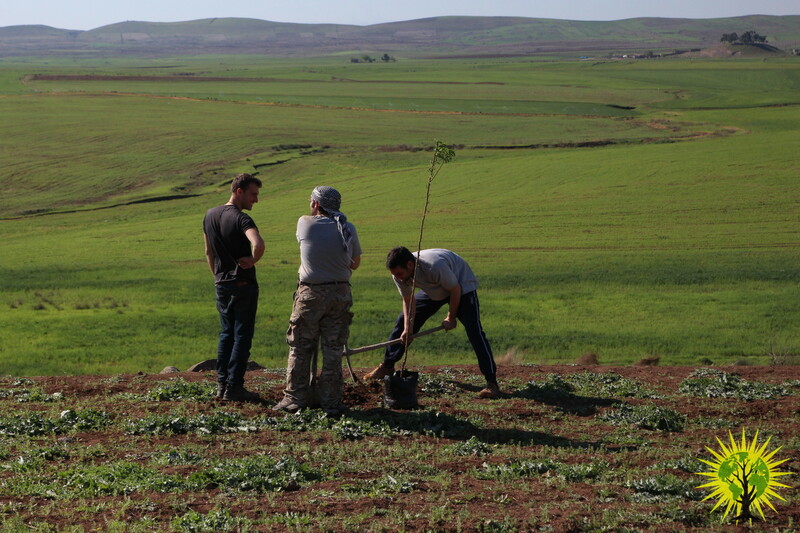 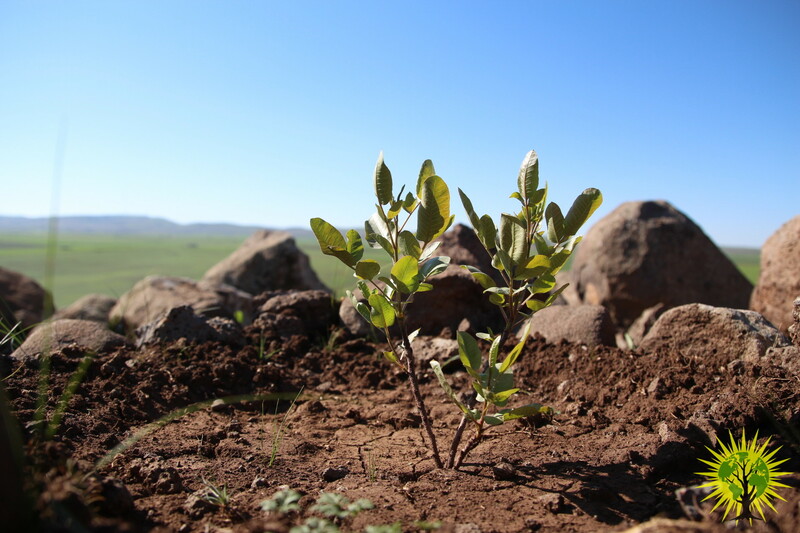 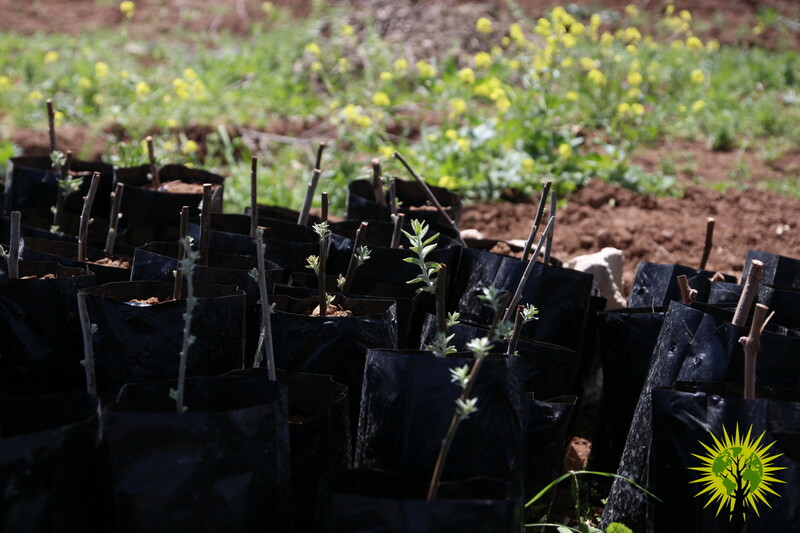 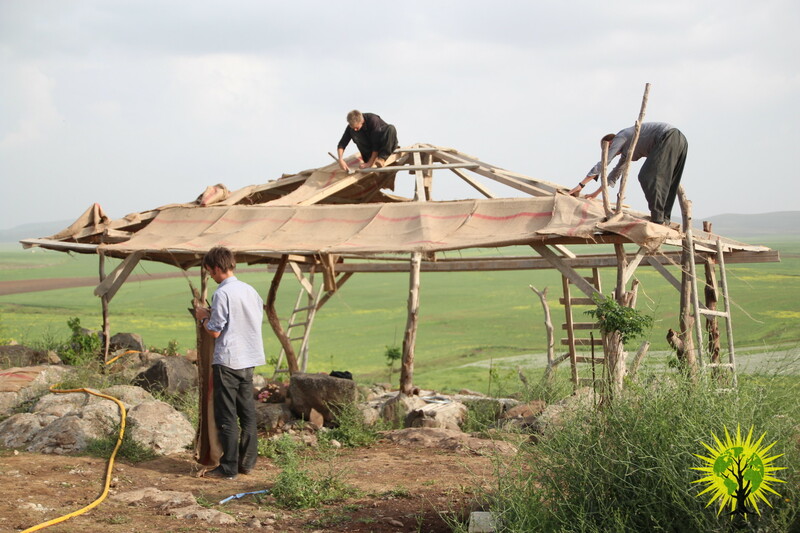 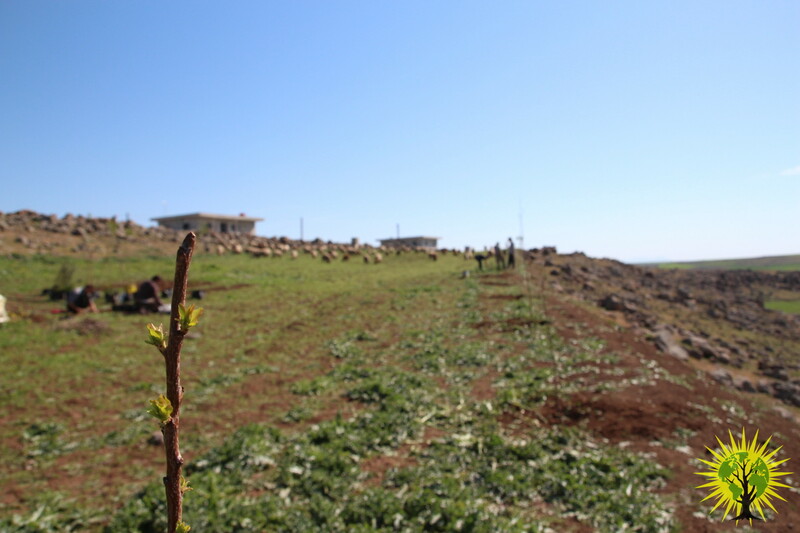 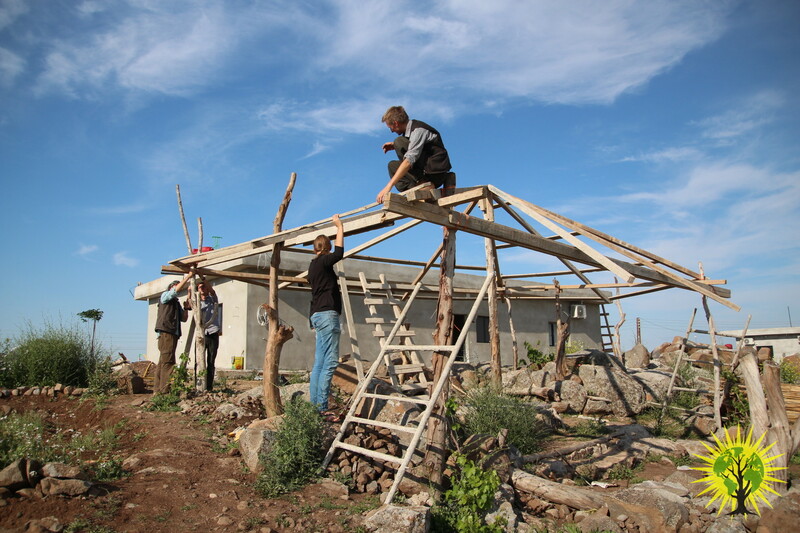 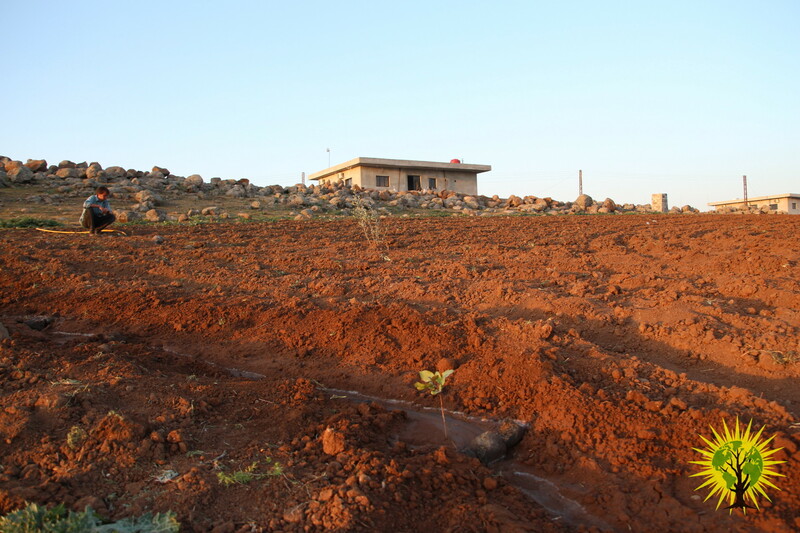 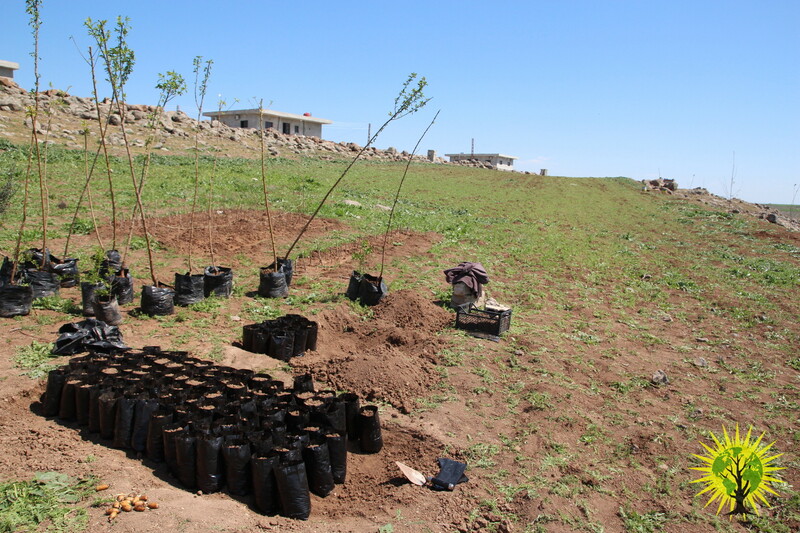 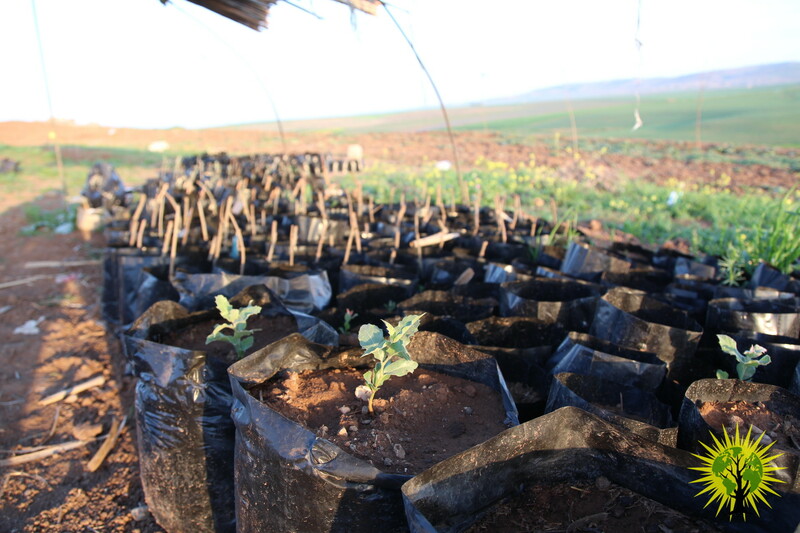 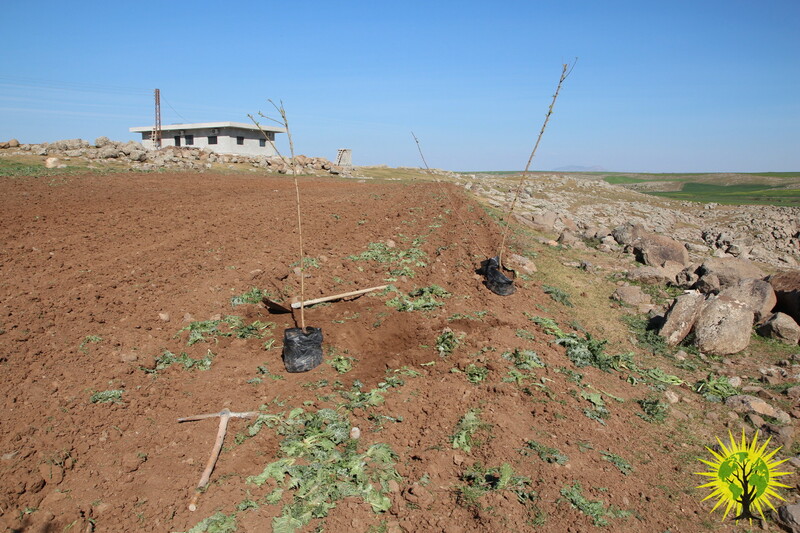 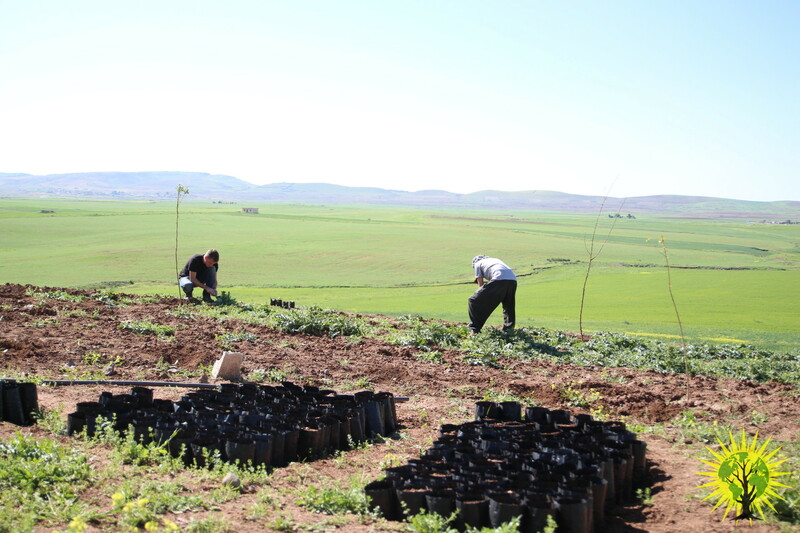 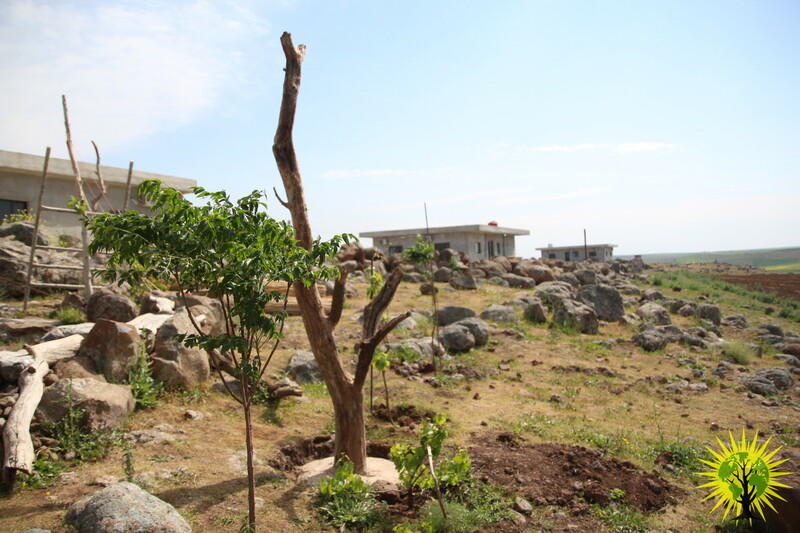 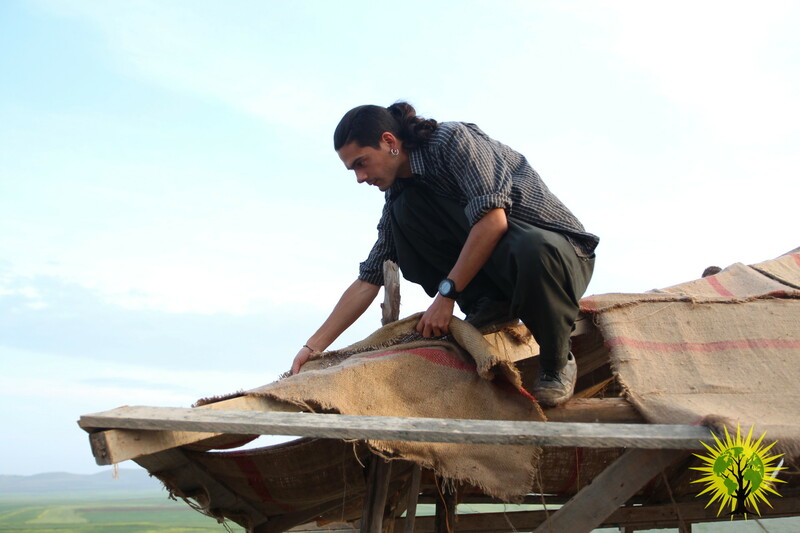 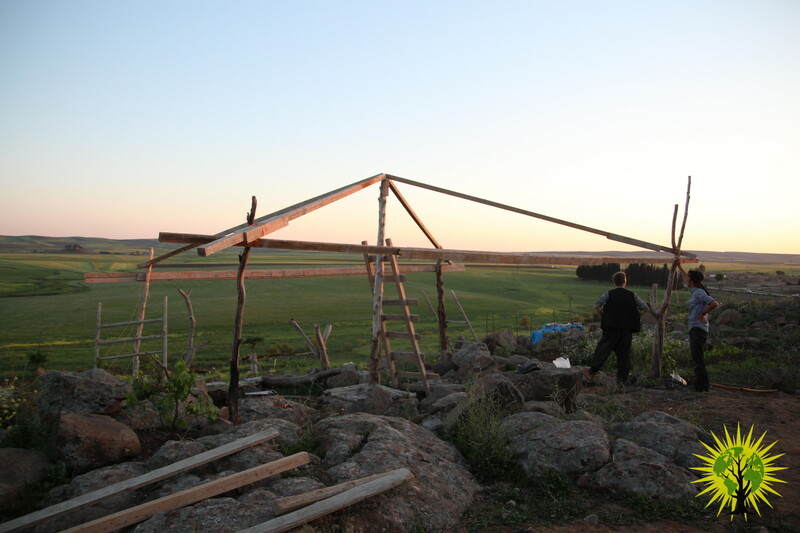 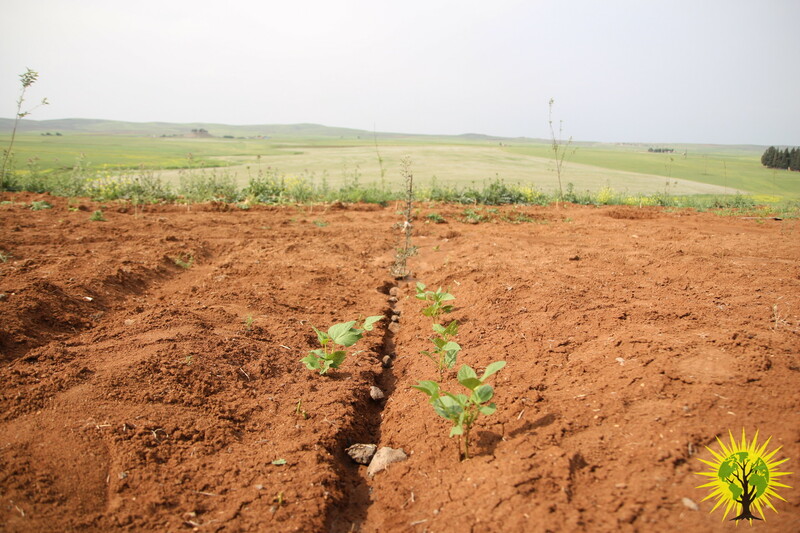 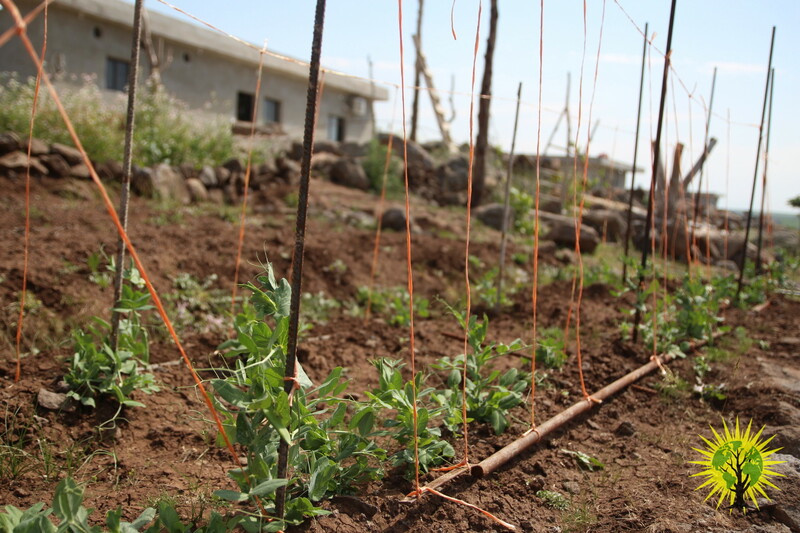 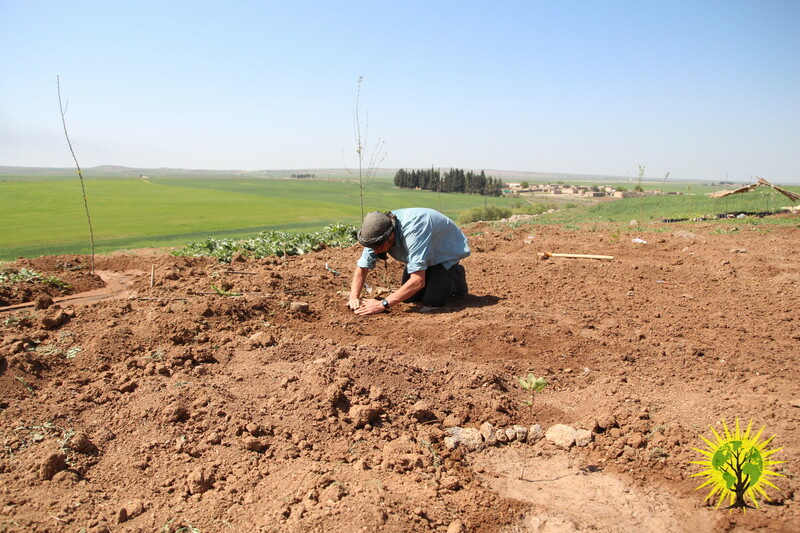 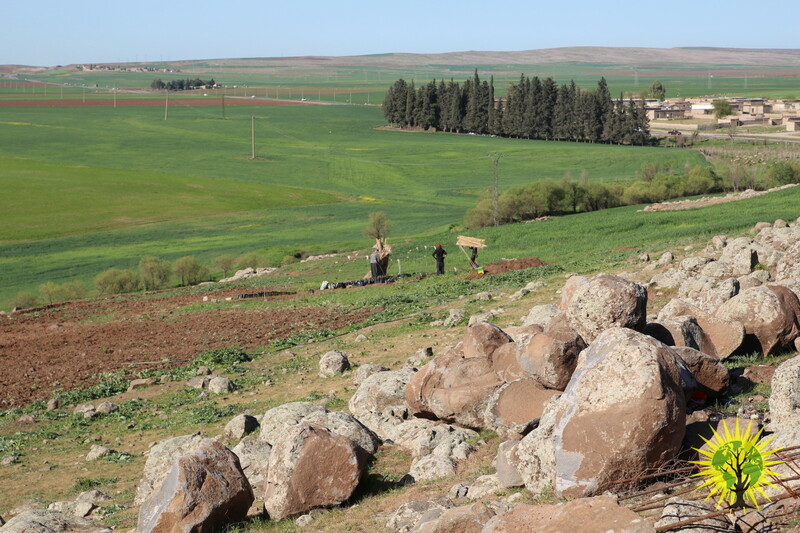 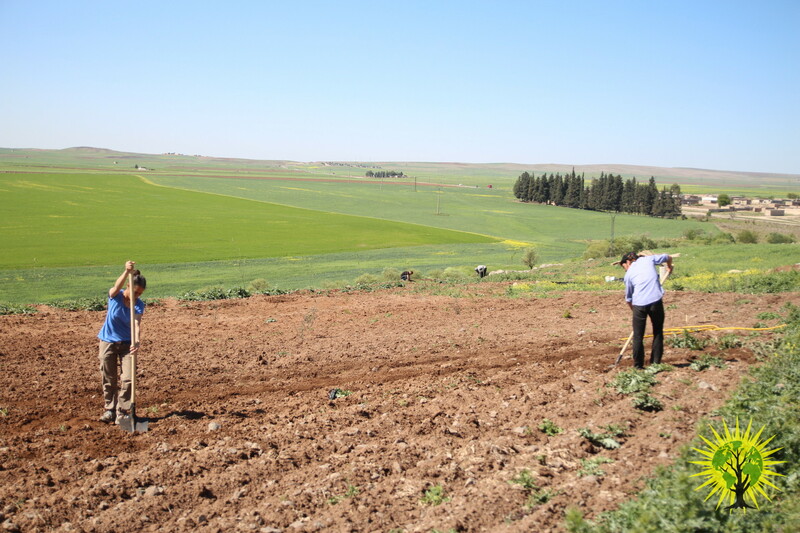 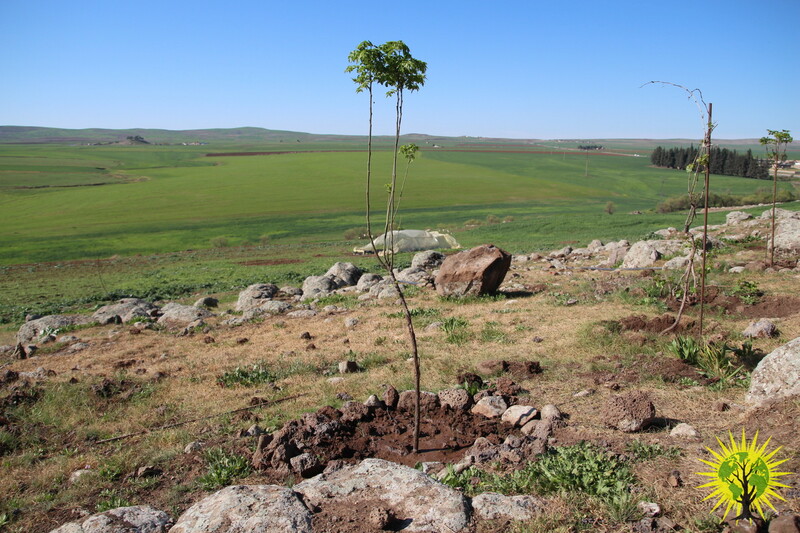 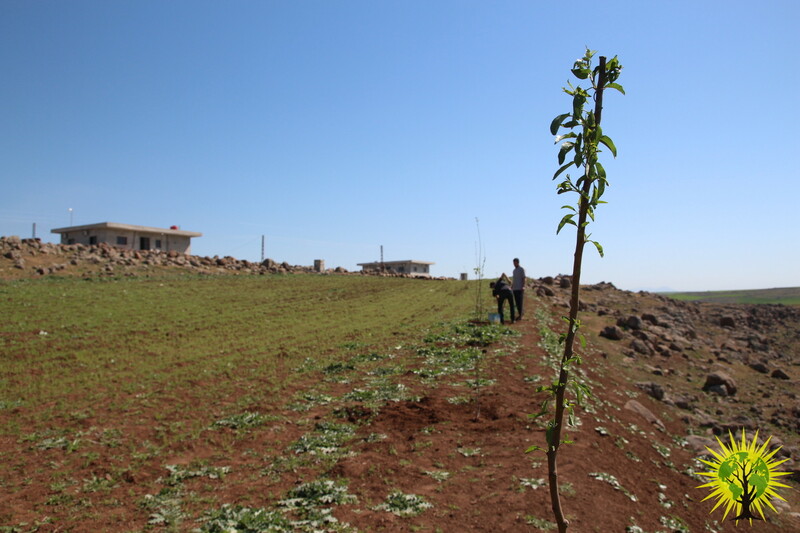 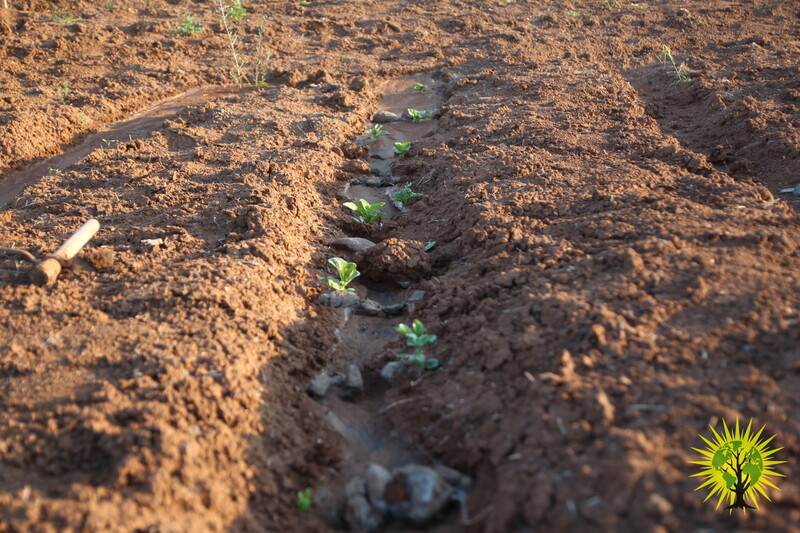 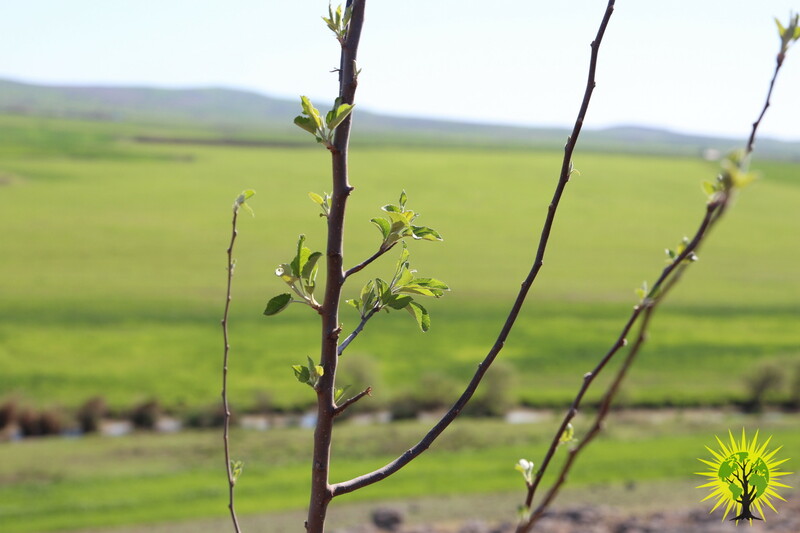 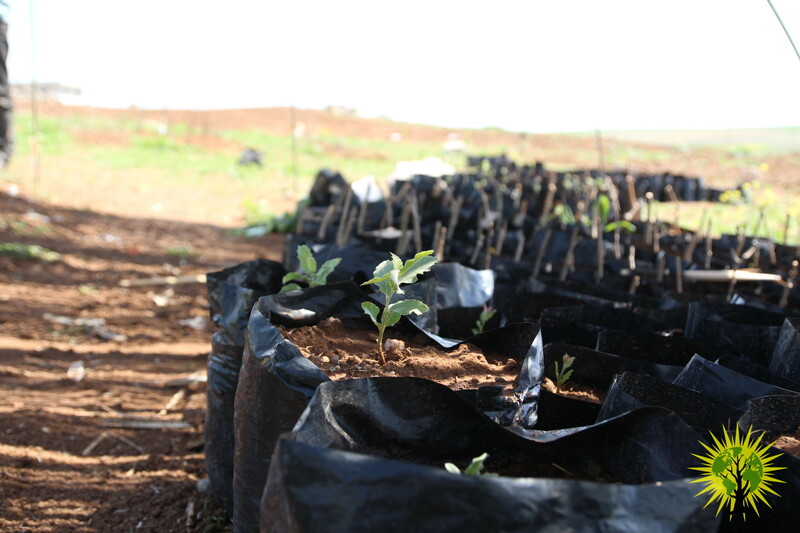 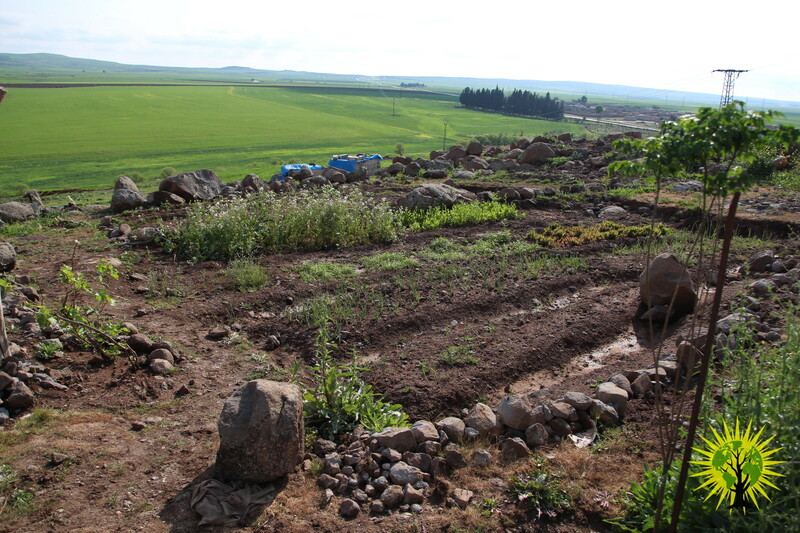 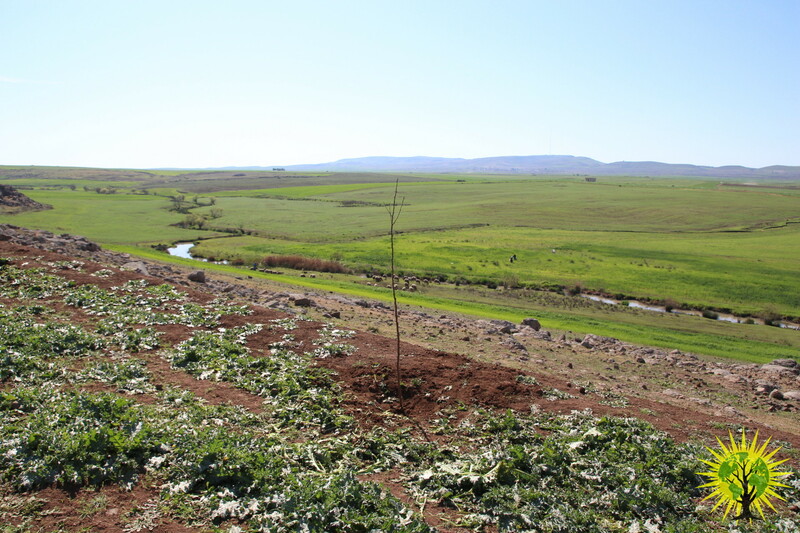 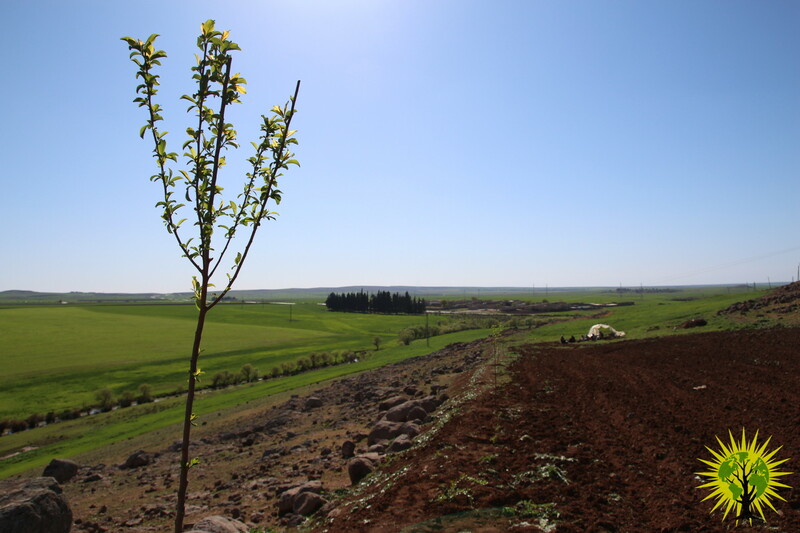 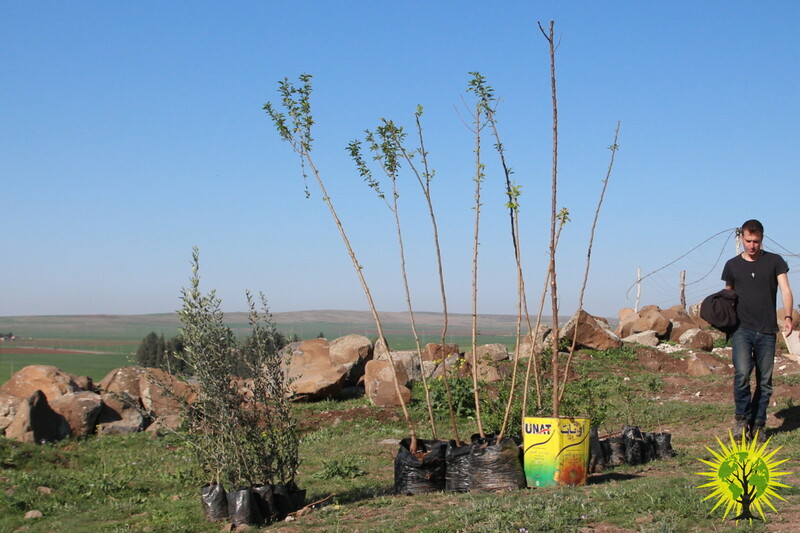 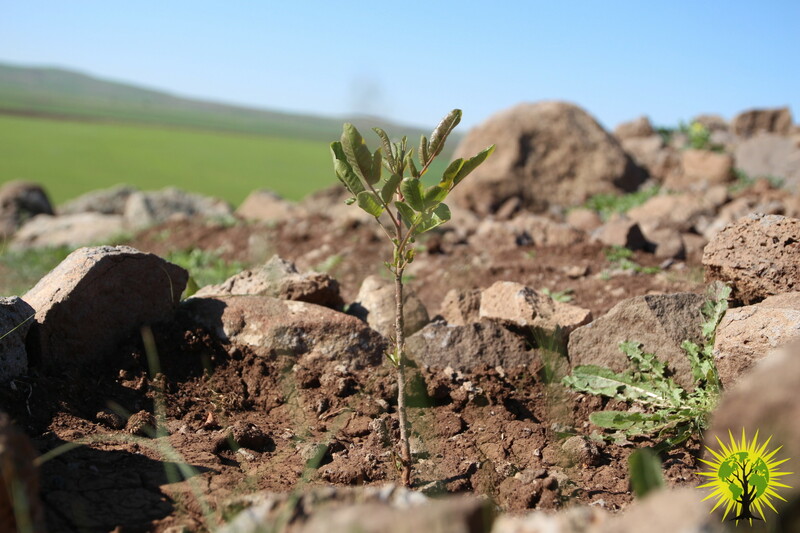 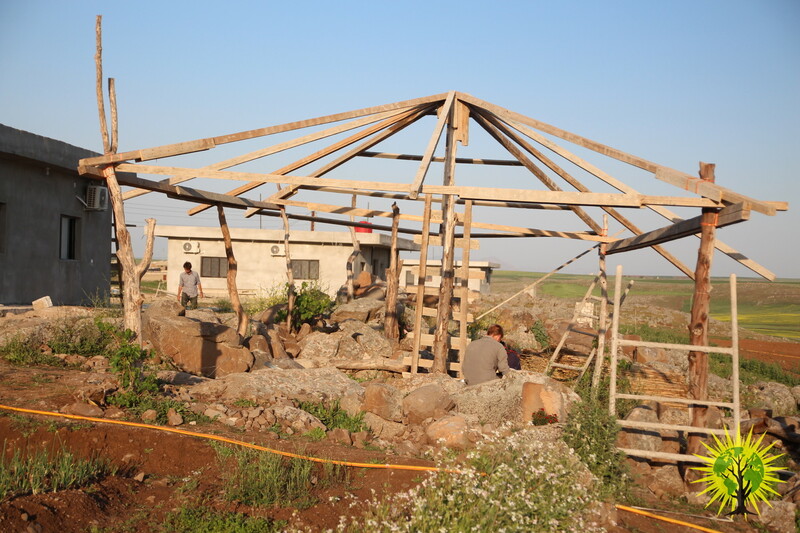 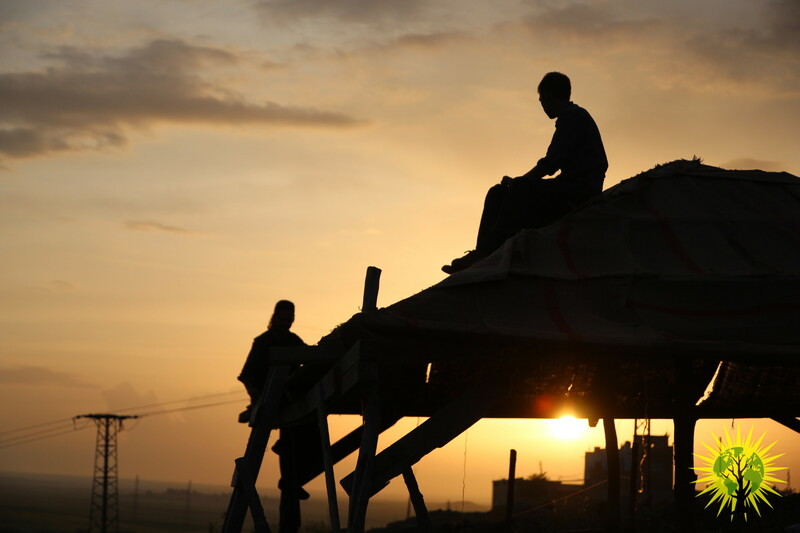 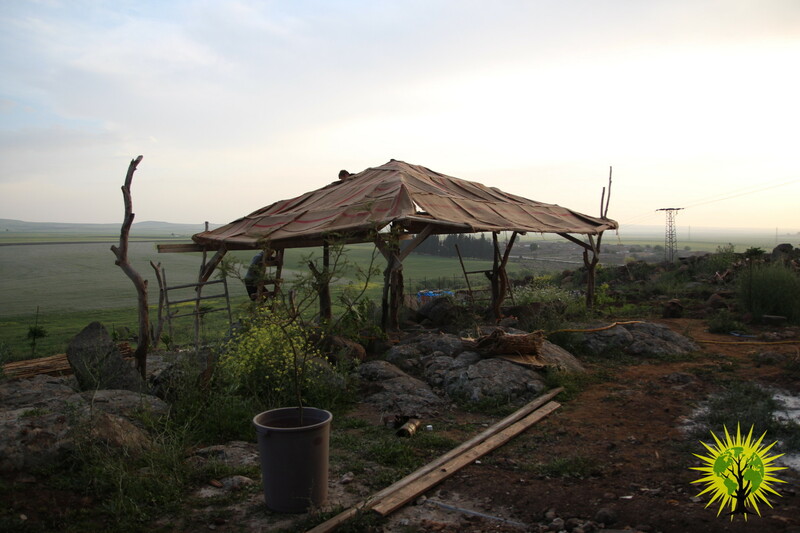 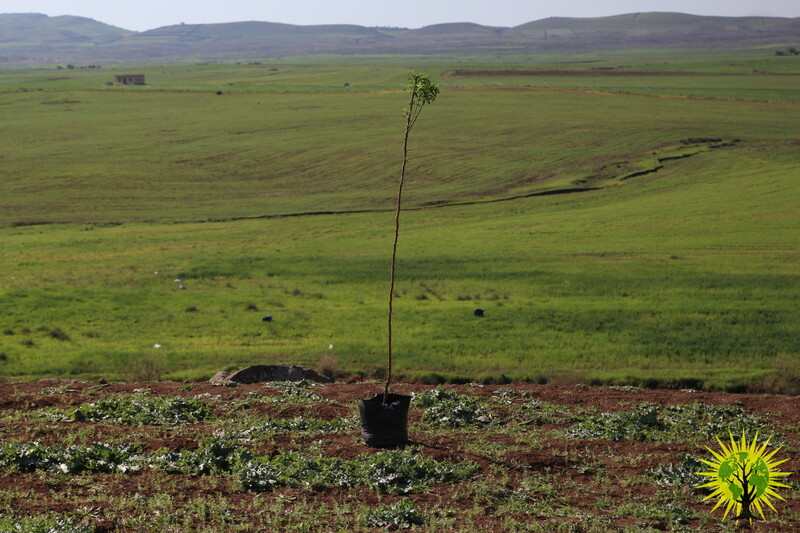 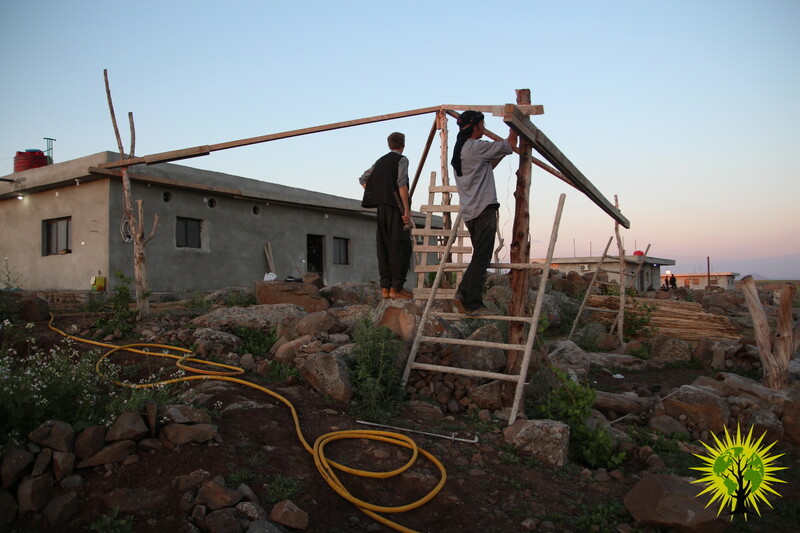 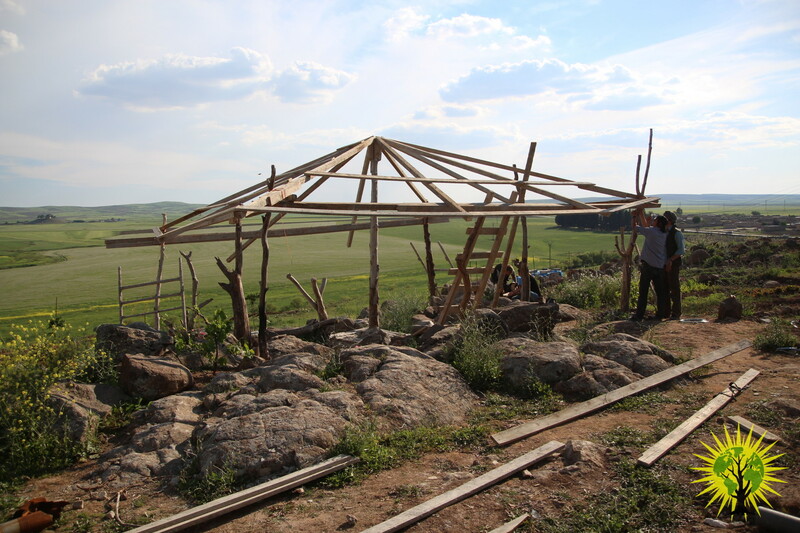 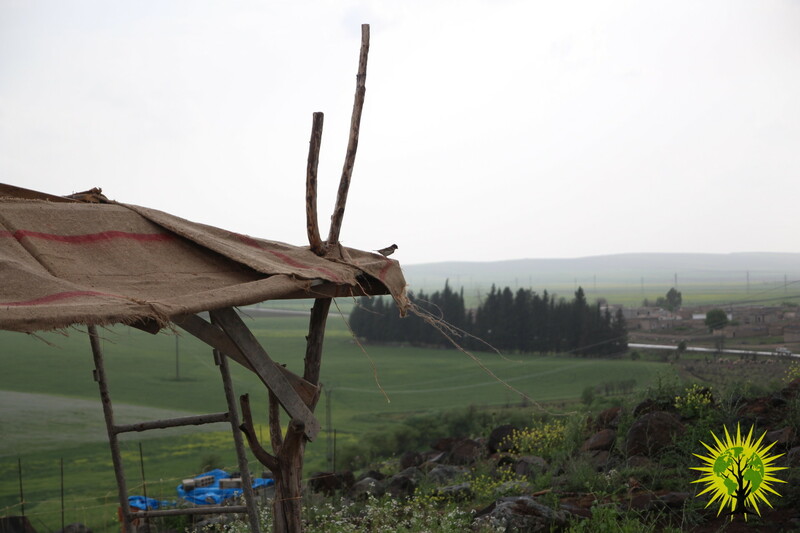 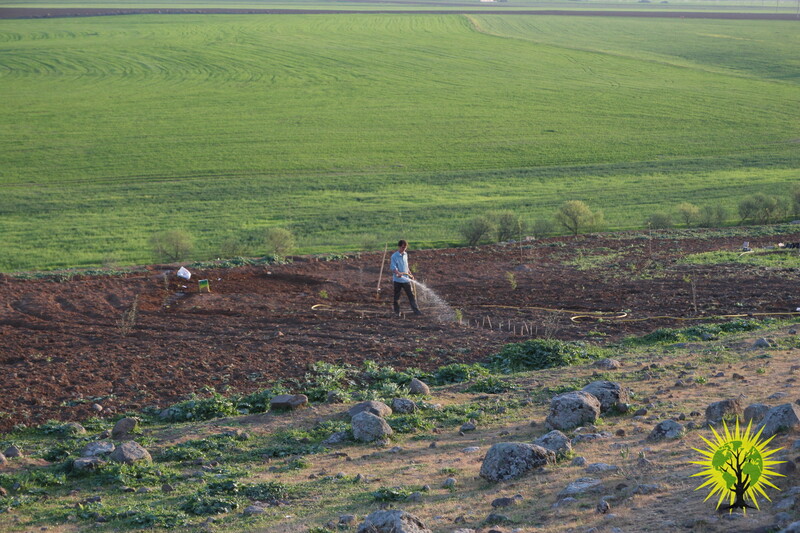 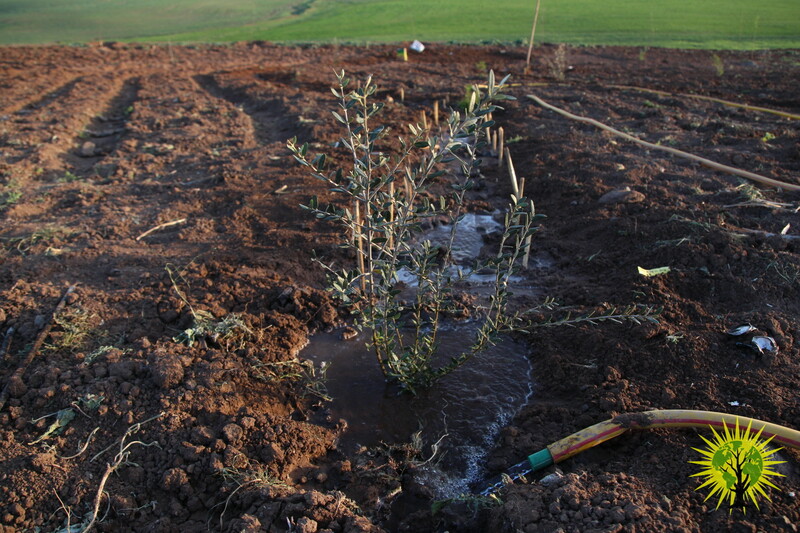 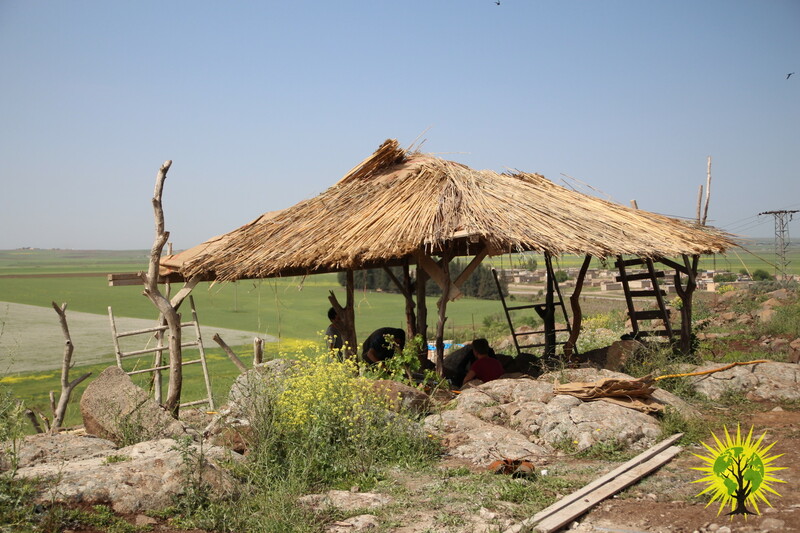 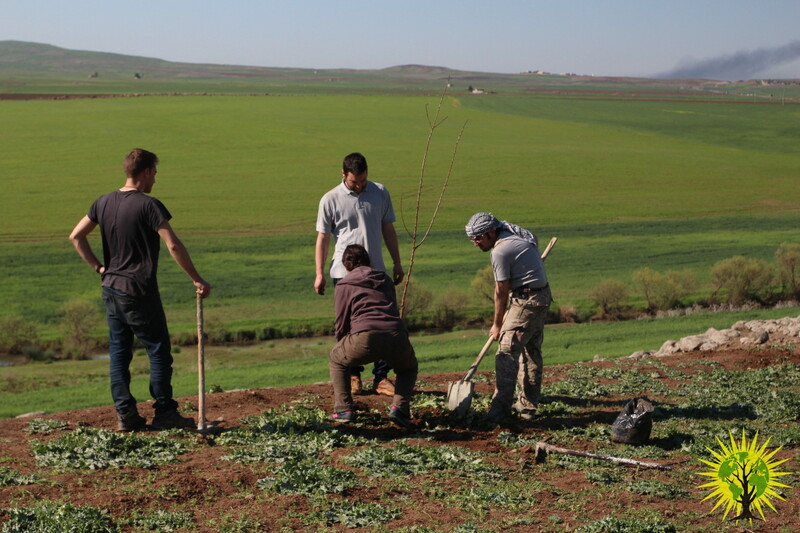 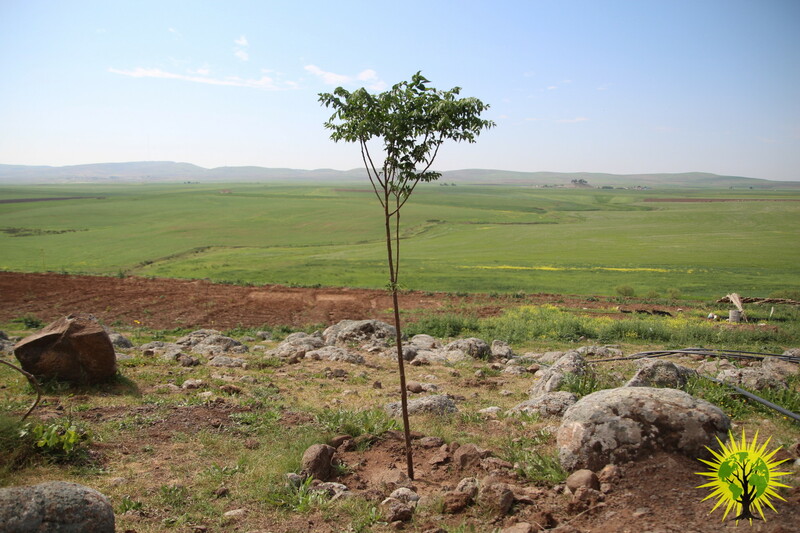 Spring arrived to Rojava, and our works for make Rojava green again are blossoming. 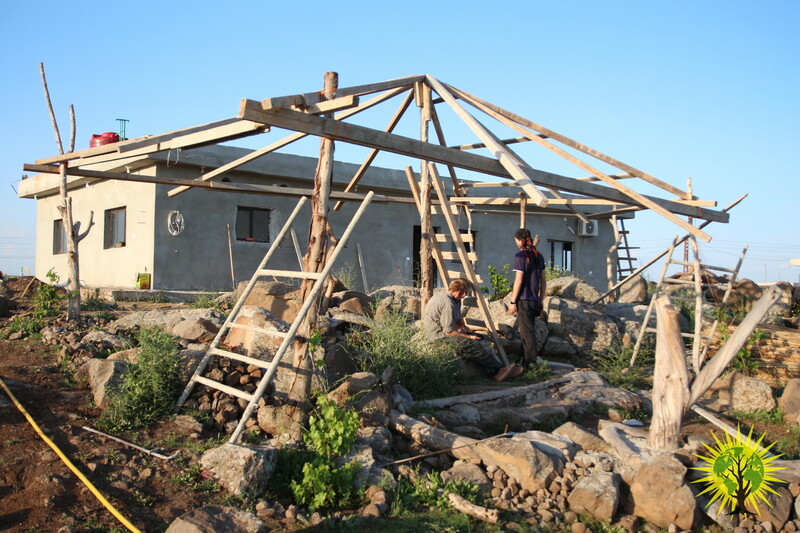 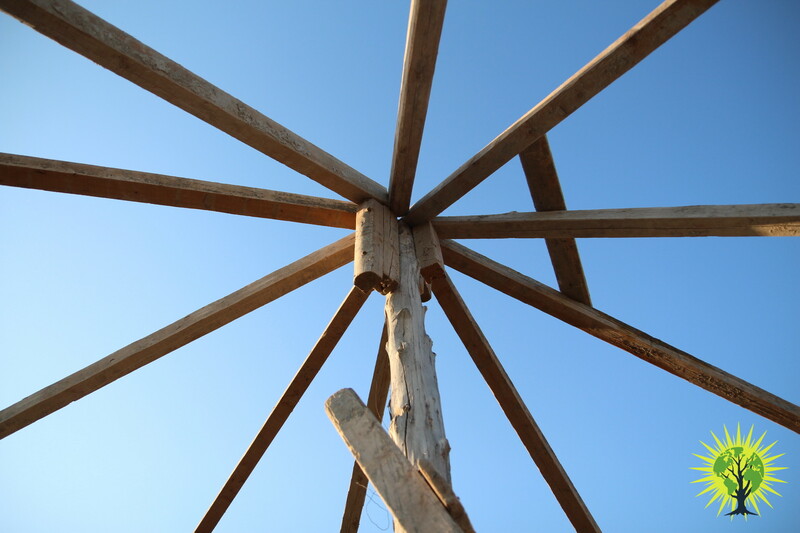 We are learning with every step we do, working in a collective way for make more sustainable our life around the international academy and to develop social ecology. 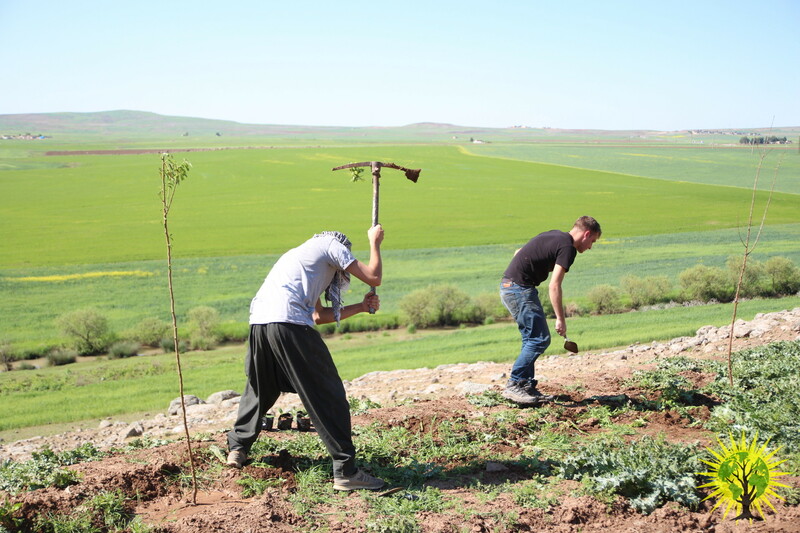 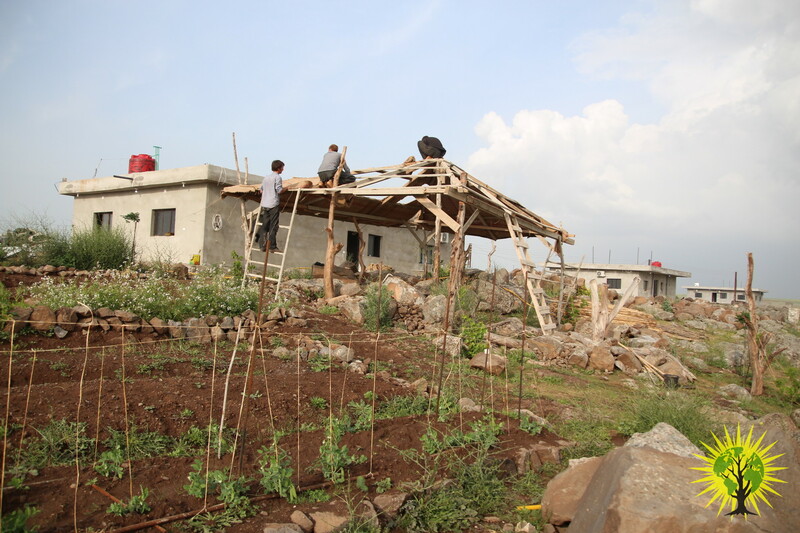 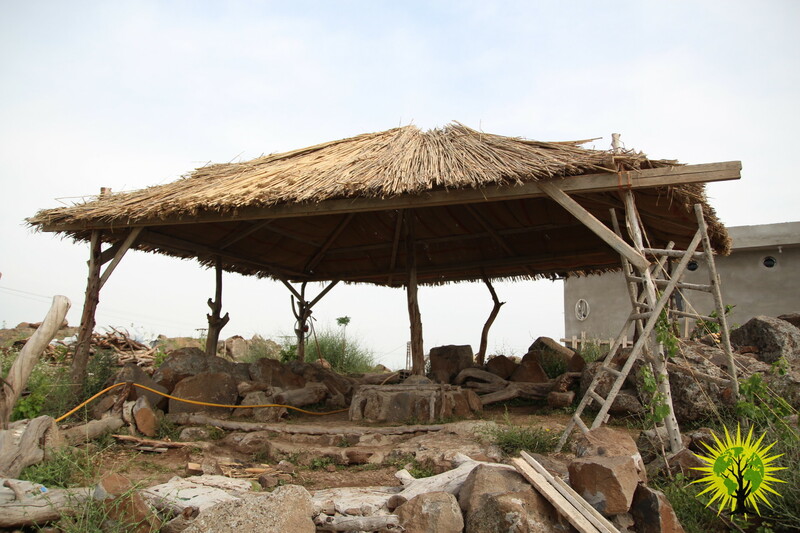 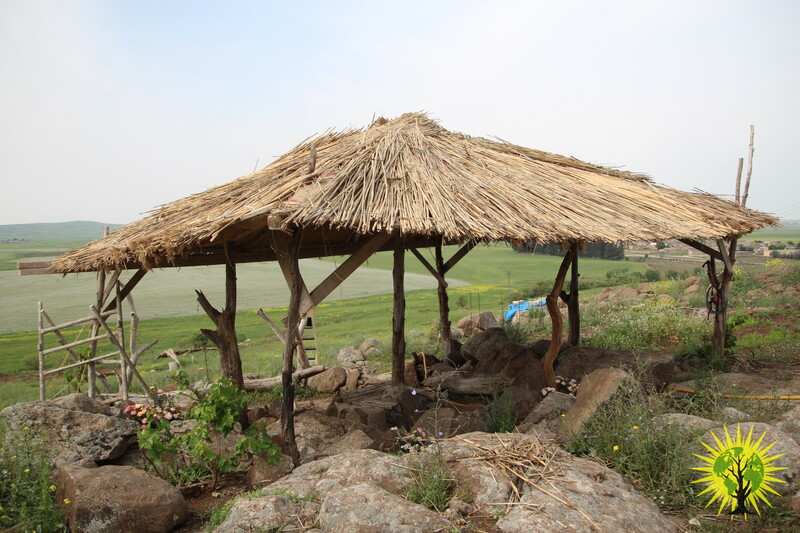 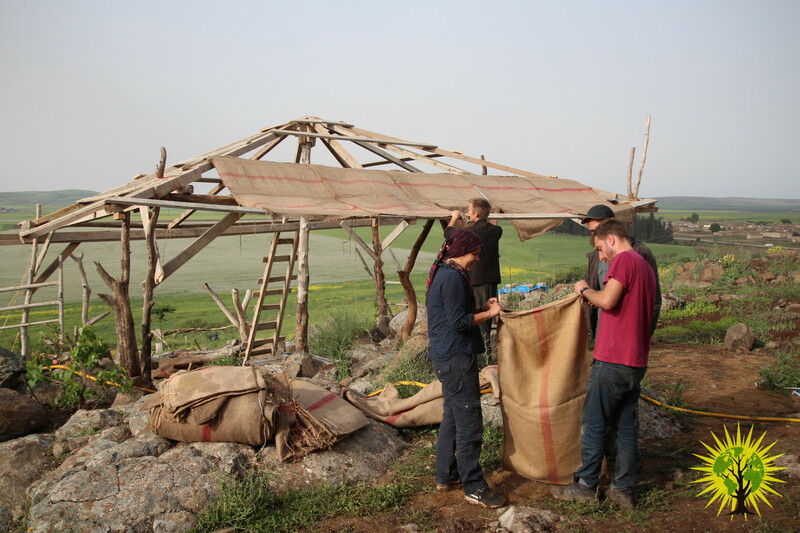 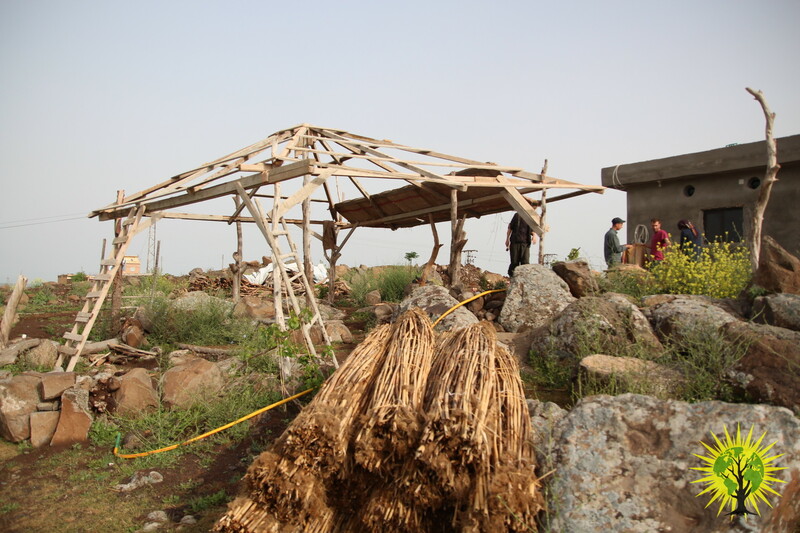 We made a visit to the ‘Roj’ greenhouse, were we had been working and learning a lot of things, and they gave us some trees we had been planting. 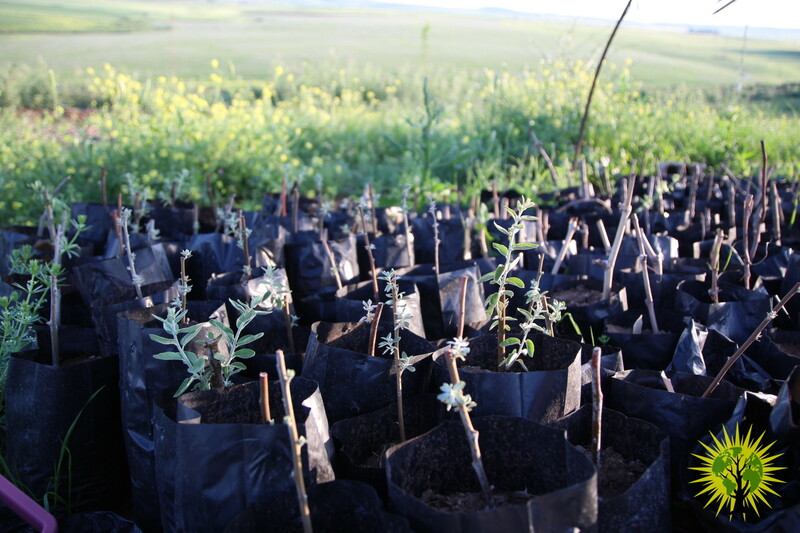 Among other trees, we have now some olive trees, apricots, walnuts… We are working in a water system that don’t take a lot of time but allows us to water all of them in an easy way, because the sun starts to get really hot and it takes a lot of time to water all of them one by one. 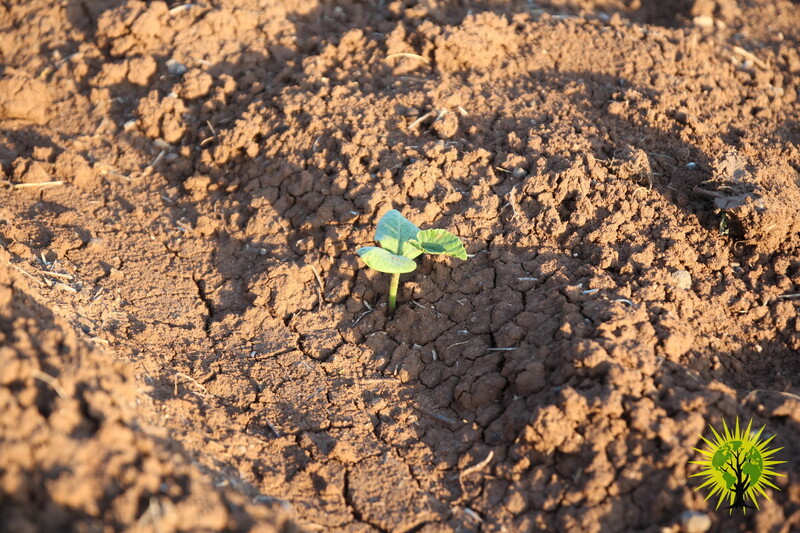 The shoots we had been planting are growing good. 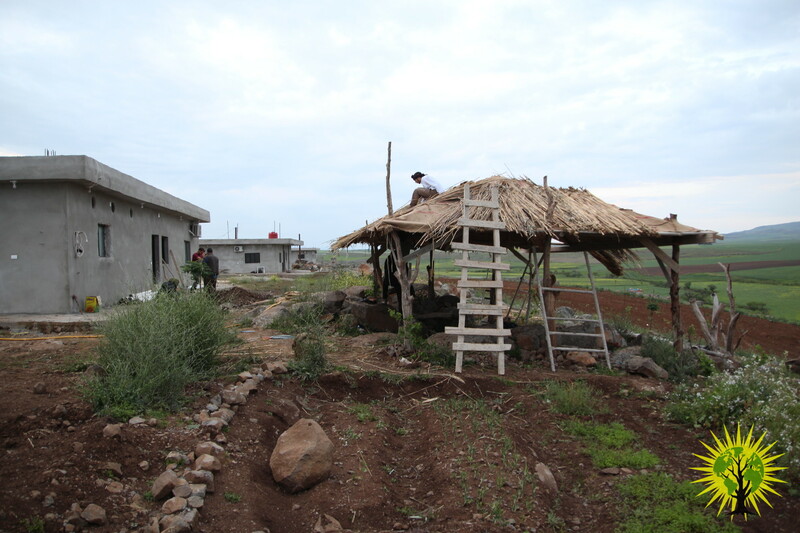 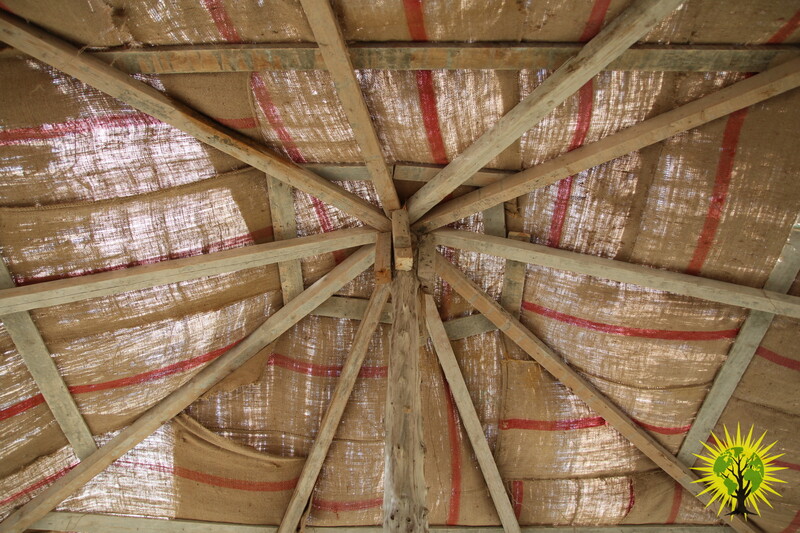 Most of the shoots we planted in February are now green, and we uncovered our green house because it was to hot. 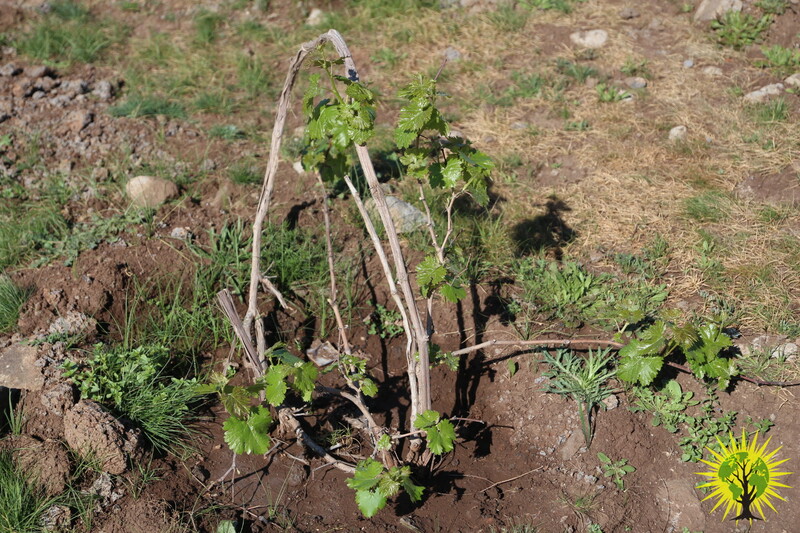 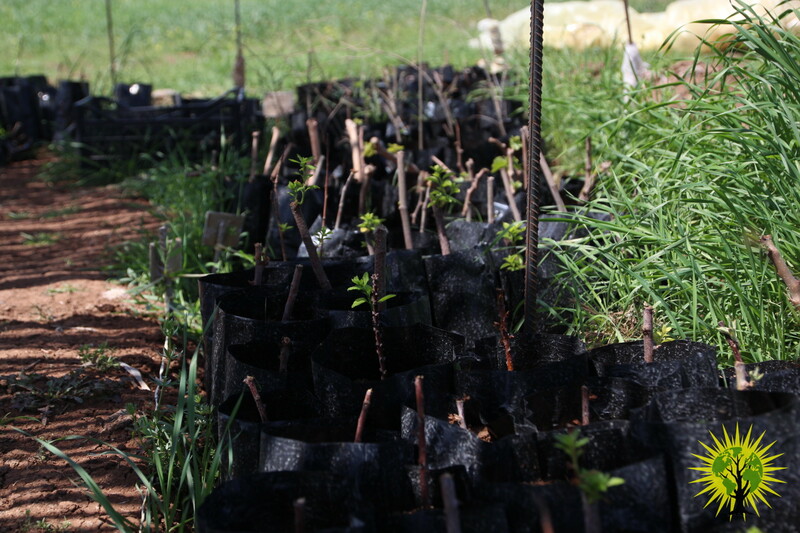 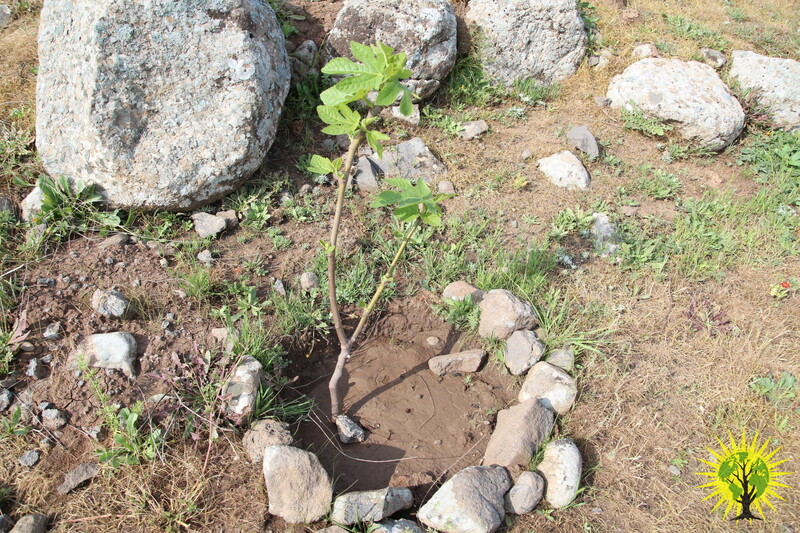 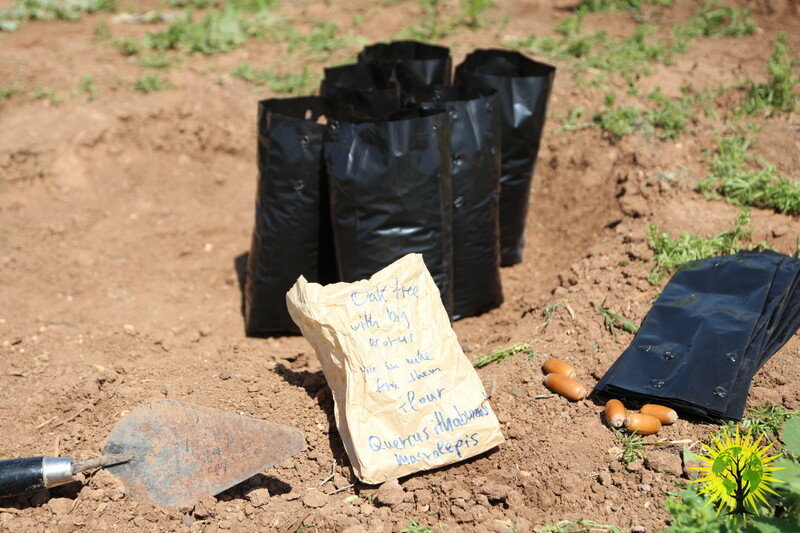 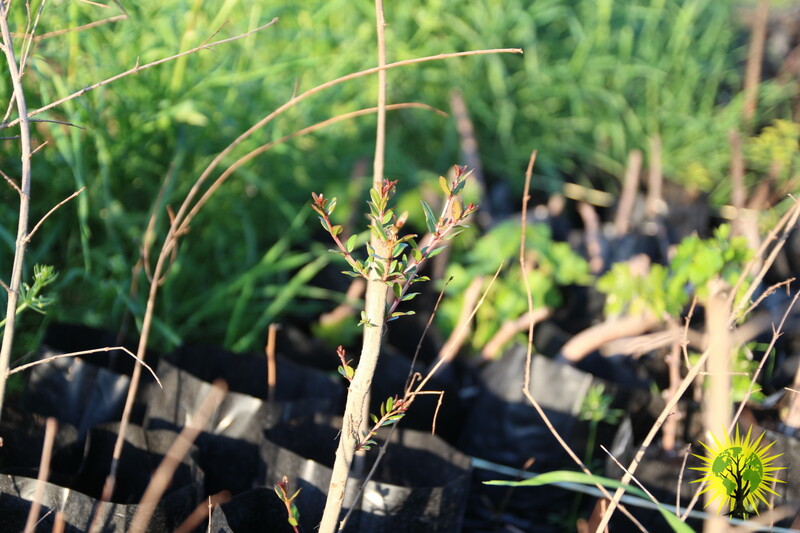 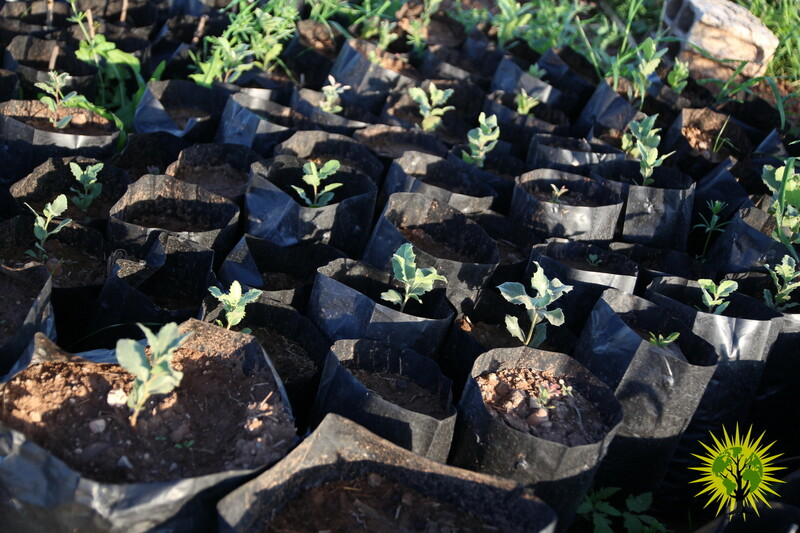 We are also planting new oak that arrive from the Crete Island in Greece, and we will be able to compare their adaptation here with the ones we have from Kurdistan.Also the lemons and oranges we planted are starting to grow. 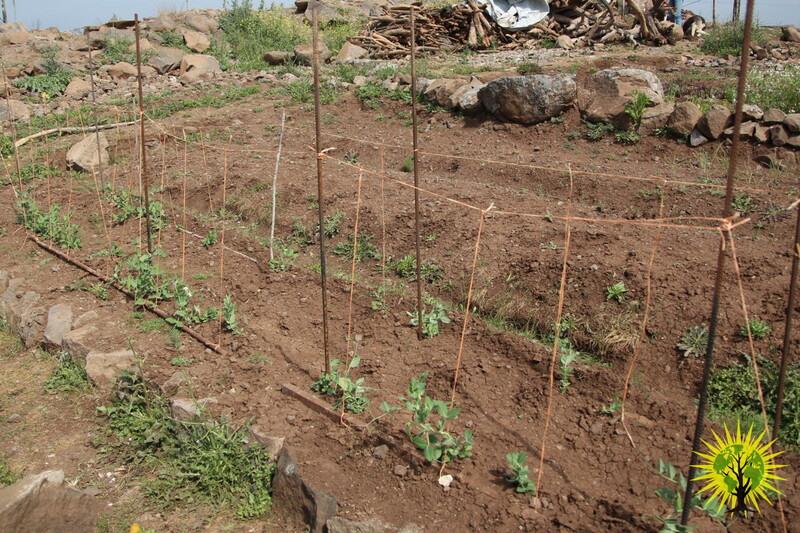 After our first vegetables gardens good results, we decided to extent our gardens. 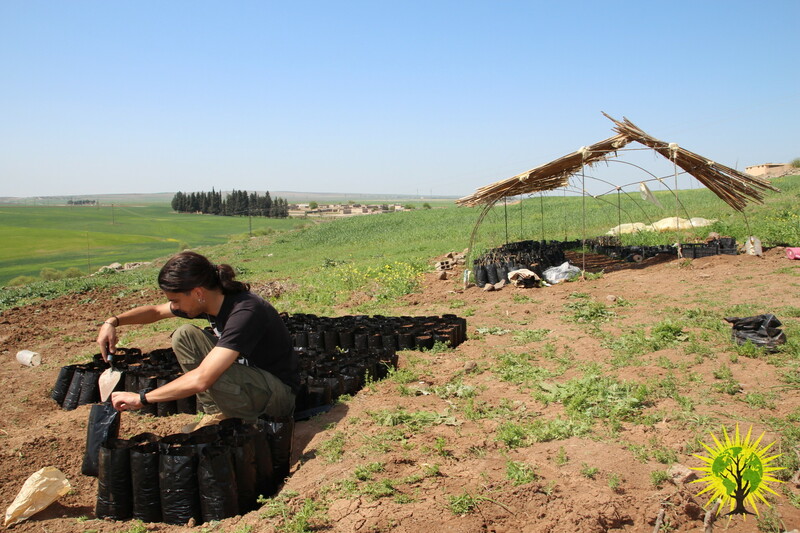 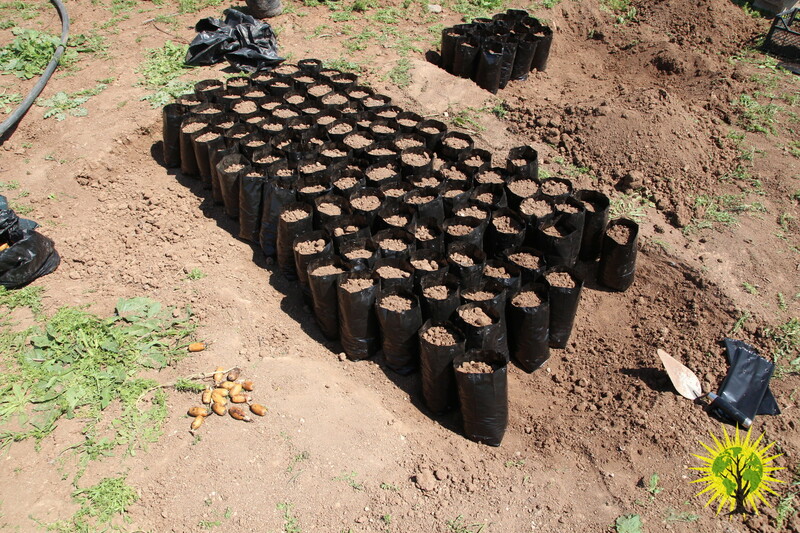 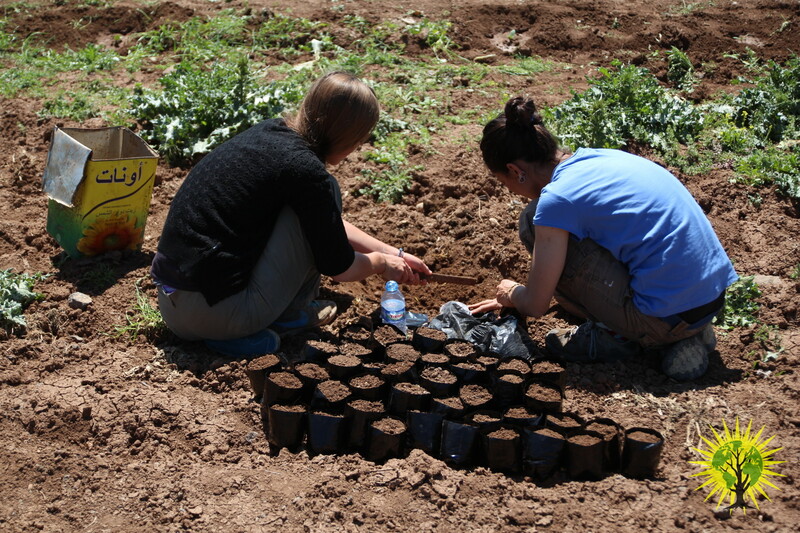 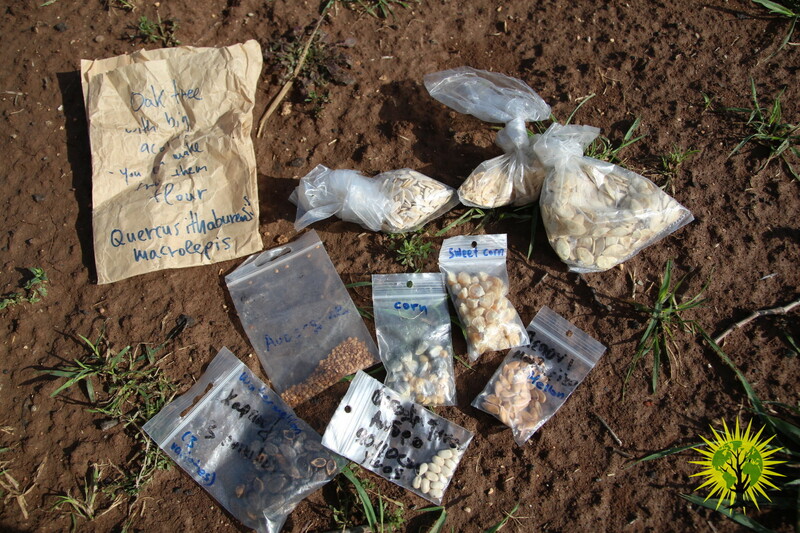 We had been planting several seed that friend brought, from Rojava but also from Greece and Catalonia. 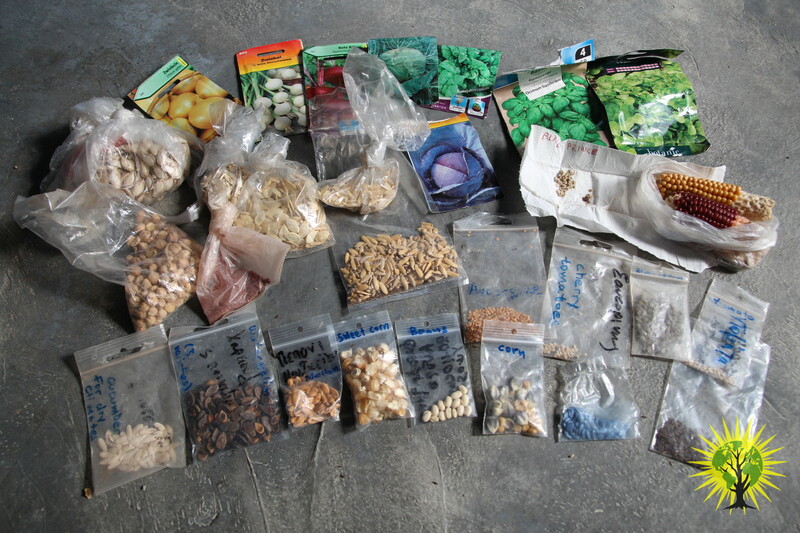 We are planting a bit of everything, for learning how the different plants can grow here. 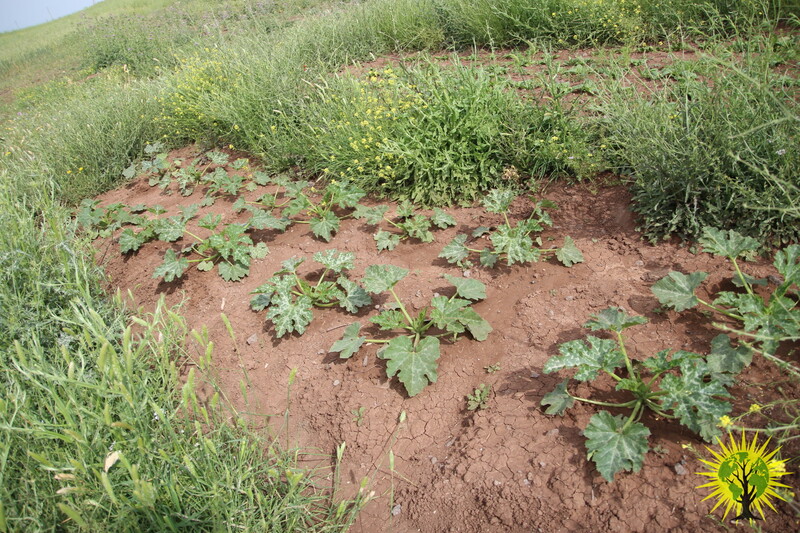 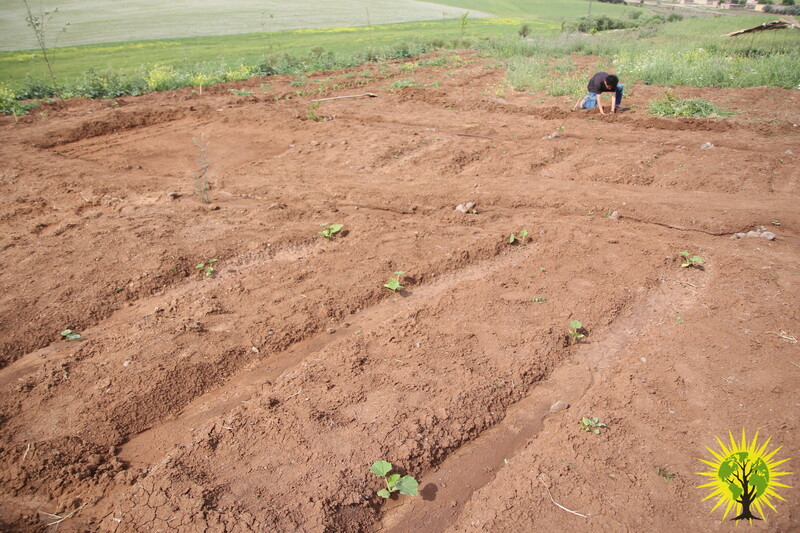 Until now, we planted beens, cabbage, onions, garlic, zucchini, chili, eggplants, corn, tomatoes, melons, watermelons… and is very nice to see all the plants growing in the fields we had been working all this days!